HF: Gin Drinkers Bay ( 醉酒灣, Drunkard’s Bay) is also known as Lap Sap Wan (垃圾灣, Rubbish Bay). Explanations of why these two pejorative Cantonese terms are used would be welcomed. This photo comes from the Journal of the Geographical, Geological & Archaelogical Society March, 1961. This area of Hong Kong has changed almost beyond recognition since then. The bay was reclaimed later in the 1960s and became Kwai Fong and part of Kwai Hing. 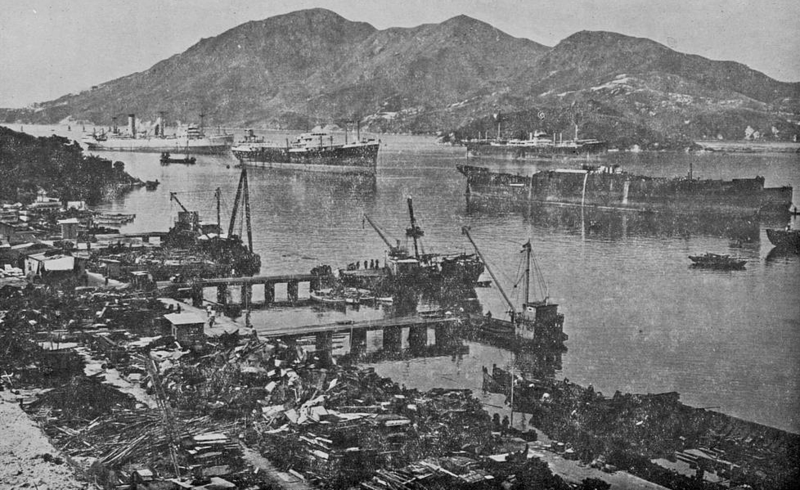 At the mouth of the bay stood the island of Tsing Chau which became a land extension of Kwai Chung. So today when you look at the container terminal opposite Tsing Yi you are looking at what was Gin Drinkers Bay. 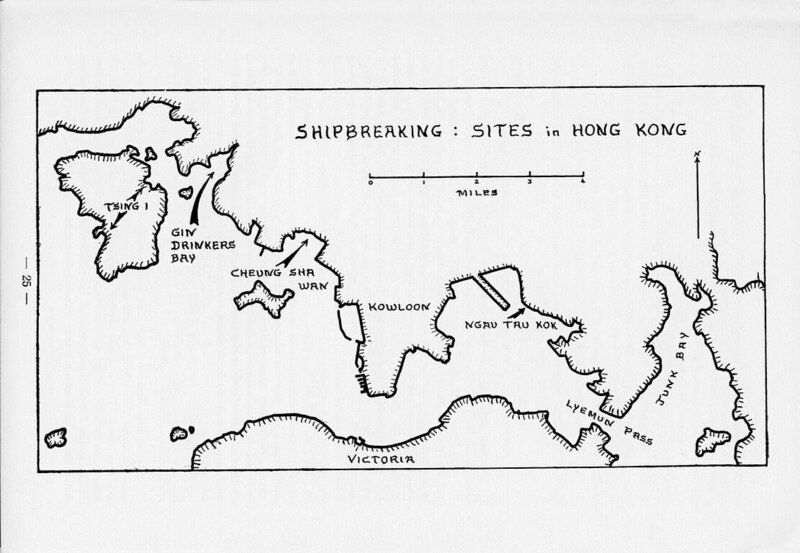 This map from the same article shows the location of the bay. I remember reading Hong Kong Metamorphosis by Denis Bray and there is a chapter talking the reclamation of Gin Drinkers Bay by domestic garbage. That was likely why the bay was nicknamed Lap Sap Wan by locals.